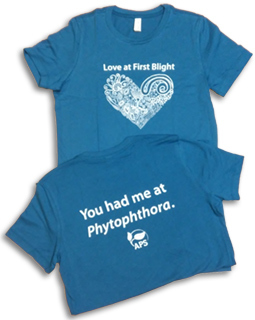 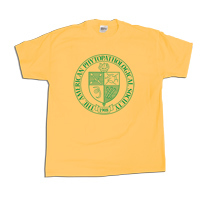 Show your love for plant pathology in this fun new t-shirt that sold out quickly at the APS Annual Meeting in Pasadena. 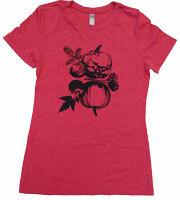 Red v-neck with 3/4 sleeves, this trending tee is sure to get the conversation started about your chosen profession. 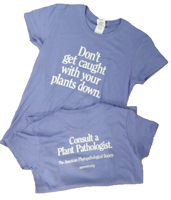 Also available in other styles and colors. 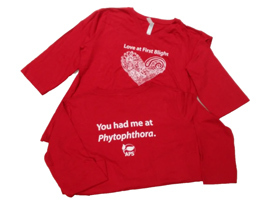 Back of Shirt: You had me at Phytophthora.